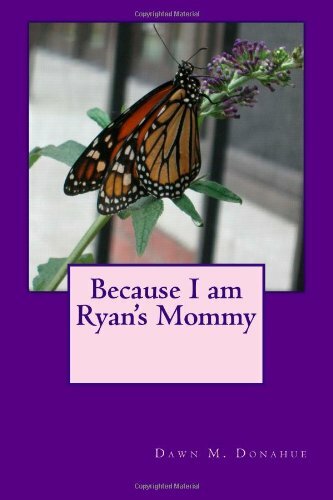 For each book sold, paperback or Kindle version, Dawn M. Donahue will donate $1.00 to the March of Dimes in honor of Ryan Matthew Donahue. Click on the book cover above to order your copy today via Amazon.com. Hi! My name is Dawn Michelle (Fallows) Donahue and I am reproductively challenged. They should have a special 12-step program for people like me, I swear, I feel like an alien in my own head. My story starts in 1995, when I was married to my first husband. I spent 10-12 months on Clomid to try and get pregnant. All that drug did was make me a friggin’ crazy woman! My hormones went berserk and I pretty much felt like I was going to kill someone 99% of the time (sorry, Roger). Getting pregnant didn’t happen at that point and we didn’t have the money to go further with IVF, so that venture ended there. Then, the marriage broke up, and that’s a whole other book. So from 1996 until 2000, I dated, and dated, and dated. Then I met Steven. We dated for a while, broke up for like two weeks (yes, Steven, I had to mention this AGAIN but he quickly realized he couldn’t live without me) and then dated until he asked me to marry him on June 8, 2003. I said yes, of course. We got married on June 26, 2004, and about a month and half before the wedding, I took a pregnancy test and it was positive. I was ecstatic! We were doing things a little backwards but so what, right? Two weeks before our wedding day, I started bleeding heavily. This was miscarriage number one.